The London Borough of Brent is an ideal location for the mysteriously magical talents of David Fox. David is always delighted to perform at all sorts of events throughout Brent and takes great pride in creating specialised packages for weddings, parties and business functions. A signed and selected card appears in a strange location, a spectator's mind is read, incredible predictions take place close to the audience... this is real powerful magic at its very best! Brent is of course home to Wembley Stadium, the home of football. 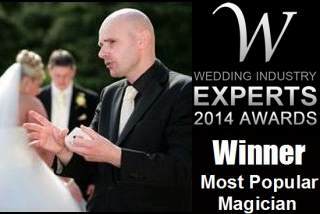 David frequently performs magic at sporting events in banqueting suites throughout the UK. Diageo also have their Head Offices located in the Borough of Brent. 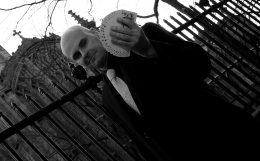 David's outstanding close-up routines, table magic effects and large illusions always hit the mark at corporate events.